Rackspace will deliver a hybrid cloud featuring OpenStack-powered public and private clouds to CERN, the European Organization for Nuclear Research. The Rackspace Private Cloud platform will be deployed onto servers that CERN utilizes for production physics experiments. 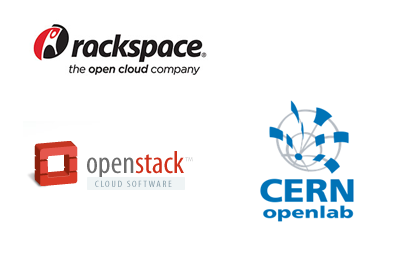 CERN openlab will host several joint initiatives with Rackspace focused on creating a reference architecture and operational model for Federated Cloud services between Rackspace Private Cloud, Rackspace Public Cloud and CERN's OpenStack powered Clouds. Rackspace and CERN openlab said they will test and ensure the seamless federation between private and public cloud platforms to accommodate excess workloads. Federated Cloud Services based on OpenStack Cloud Technologies – Rackspace will work with CERN openlab to federate CERN’s current managed services into Rackspace’s open public and private cloud environments. Personnel Support – Rackspace will fund one full-time member of the CERN personnel team, who will help create cloud federation technologies. CERN produces more than 25 petabytes of data annually. CERN is leveraging OpenStack software to manage the resources across its two data centres that power the LHC. Huawei is developing an Ultra-Flash CSFB (Circuit Switched Fallback) voice solution to improve call setup times from LTE to GSM or UMTS. After a smartphone on LTE places a voice call, Ultra-Flash CSFB allows the network to simultaneously send an indication to the smartphone to fallback from LTE to GSM or UMTS and to the circuit-switched core network to prepare resources for the smartphone. Standard CSFB solutions require first sending an indication to the smartphone and then accessing the GSM/UMTS network. Huawei said testing at its Shanghai mLAB research center finds 20% faster call setup times compared to legacy GSM or UMTS network calls. 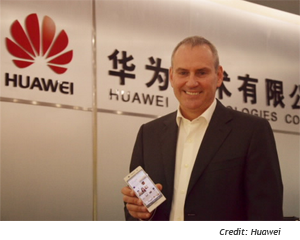 Huawei appointed Colin Giles as Executive Vice President, Huawei Consumer Business Group. Giles previously served at Nokia as Executive Vice President, Global Head of Sales. In 2012, Huawei Consumer Business Group recorded sales revenue of US$7.5 billion, a year-on-year growth of 60%, and shipped 127 million devices globally, including 32 million smartphones. 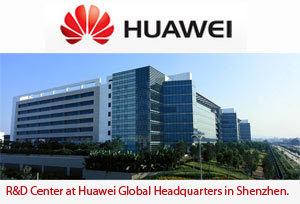 In the first quarter of 2013, Huawei ranked number four in global market share for smartphone shipments, according to research reports from Strategy Analytics and IDC. The company has recently launched a series of flagship smartphones including the HUAWEI Ascend Mate boasting the largest screen in the world, the HUAWEI Ascend D2 featuring a 5-inch FHD 443 PPI super retinal screen, and the industry-first LTE Cat4-enabled HUAWEI Ascend P2 that can achieve the fastest network download speeds in the world. On June 18 in London, Huawei launched another flagship smartphone, the HUAWEI Ascend P6, the world’s slimmest smartphone at only 6.18mm. Sprint announced SIP Trunking availability in 12 European countries: Austria, Belgium, Denmark, France, Germany, Ireland, Italy, Netherlands, Spain, Sweden, Switzerland and the United Kingdom. Session Initiative Protocol (SIP) Trunking allows businesses to replace costly "physical trunks" that connect a PBX to a service provider network with "virtual trunks" over a single IP connection. Distributed enterprise can connect multiple locations throughout Europe over the same set of SIP trunks while preserving local telephone numbers, calling plans and emergency services. This reduces the overall number of trunks needed to implement SIP Trunking in the available European locations, thus streamlining the network and operating costs for a business. The service runs over Sprint's international MPLS network. 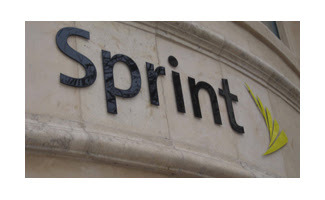 Sprint first launched SIP Trunking in 2009. China Mobile has deployed a Huawei 4G base station on Mount Everest at an elevation of 5,200 meters (the summit is 8,848m). Huawei’s GSM base stations have been in service at the Mount Everest base camp since 2007. Huawei has already delivered 4G solutions to other parts of the region including EPC, integrated equipment rooms, BTS, microwave transmission and 4G devices.